One week until one of my favorite weekends of the year! 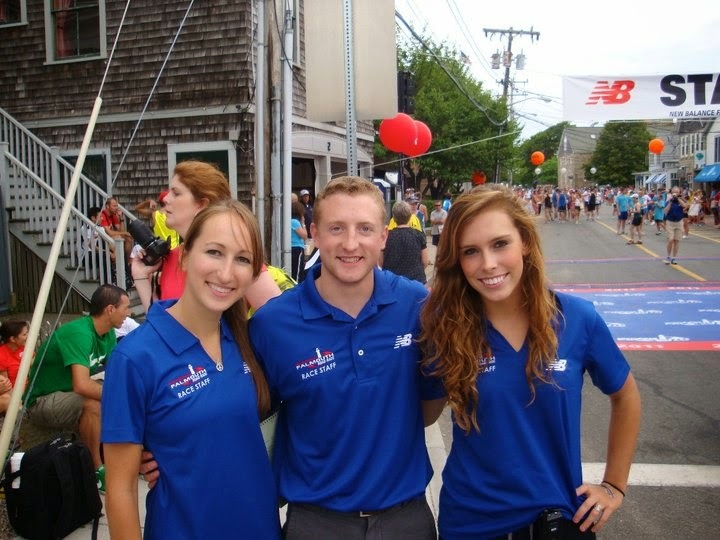 The Falmouth Road Race! It's going to be weird as I am not involved for the first time in about 12 years. Below is a blog post I wrote for the Mashpee Fitness Center. To see the original, visit the Mashpee Fitness blog. 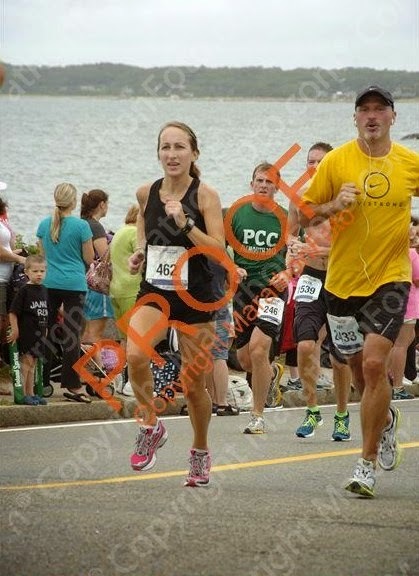 Whether you’re running the beautiful and prestigious 7-mile Falmouth Road Race course in Falmouth, Massachusetts next Sunday or preparing for your goal race of the year, race week is a very important week. Let me start out by saying – nothing you do in the week (actually two weeks) before the race will benefit you in terms of aerobic fitness levels, speed, or strength. Your last long run should be 2 weeks out. One of the hardest things about taper can be learning to trust your training. However, cramming in an extra long run or logging mega miles will only lead to tired and heavy legs or even worse… over training and injuries! You have done all the hard work (hopefully! ), now is the time to let your body rest up and prepare for the big day. I am a big believer in training plans. There are a million to choose from but the right training plan, if followed, can set you up for a great race. Sure there are things that we cannot control—like the weather—but doing all the little things that we CAN control make all the difference in the world. If the race is on Sunday, run like your normally would Monday-Thursday with a day or two off. Nothing crazy fast or out of the ordinary. Try 4-6 strides at the end of your run to work on turnover. Take Friday completely off as a rest day and use Saturday as a “shake out run” or an easy, easy 20-30 minutes max before you tear it up on Sunday. If the race is early, practice running early. Set your alarm to get out the door before work. Your body’s energy levels fluctuate throughout the day depending on your sleep, stress, and nutrition. If you always run in the morning and you’ve signed up for a night race, make sure to get in a few night runs to see how your body reacts and give it time to adjust. Eat smart and stick to your regular diet. Don’t try anything new—especially race morning and the night before the race. Avoid spicy foods, seafood or anything with heavy cream that may upset your stomach. During your training, you should have been practicing race nutrition. The week of the race isn’t the time to experiment with new gels or different pre-run meals. If you’re running a destination race, call the hotel ahead of time to see what they offer for breakfast. If not, bring your own meals or stop by the local grocery store when you get to your destination. Get some sleep!! And I’m not just talking about the night before. Try to get to bed a little earlier every night the week of the race. Your body will thank you. Drive the course. Some runners like to drive the course beforehand, others do not. Knowing the route can be beneficial if you are in new running territory and are nervous about the event. You can scope out the finish line and all the hills to mentally prepare yourself for what’s to come. Develop your race day strategy. Have a plan for how you will tackle the run. Do you have a goal time in mind? Do you usually go out too fast? Are you too conservative so you always feel like you could have done better? Almost as important as having a strategy is being able to adapt. What if something goes wrong? How will you recoup and finish the race? Maybe you’re having a bad day but never give up. Take a look around at all the runners, volunteers, and race supporters. Everyone out there on the course has their own story to tell about their training and struggles. Appreciate the run and learn from your experiences. There is always another race to redeem yourself. Lay everything out the night before. Pick out (and try on) your race day outfit. Even better–wear your race day outfit for a run. Don’t wear new sneakers the day of the race. Make a checklist of everything you will need: bib number, pins, socks, sneakers, watch, Gu, Body Glide, etc. Plan your breakfast. Set your alarm early enough that you aren’t rushed. Expect traffic. Add in extra time because you know you will want to wait in a porta potty line and a dynamic warm up before the start. Try all these race week taper tips and you’ll be arriving at the start line with fresh legs ready to rock a personal best! Good luck!